Geography: Human Environments: Country study on France. 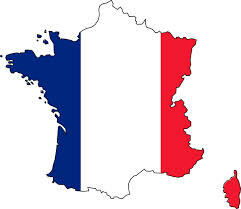 We will complete projects on France, including information on the history of France (French Revolution), Natural features facts, e.g. highest mountain, longest river, landmarks (Eiffel tower and history of) French food, French schools, etc. History – history will integrate with our project above. We are fitting the French Revolution in under the strand of stories. I can’t wait to teach about this, it’s a fascinating time in history! SPHE: Citizenship, the EU and France. Art: The children will explore the work of Monet. We will make Monet’s lily pads using paper plates and crepe paper. Music: We will listen and respond to the composer Camille Saint Saens. Drama: We will play drama games and act out a scene from the French Revolution. English:Reading: I will write up a short story based on the French revolution. The children will read it and answer questions on it. We have already started our novel ‘Private Peaceful’ which doesn’t link, so the only way I can link is through my own comprehension sheets and oral language. Writing: We are working on the genre of recount presently, so we will write a recount based on a holiday to France. We may also write post cards from France if we have time.